Alright, well, as near as I can figure, Square Enix said something about Final Fantasy XV and Nintendo Switch today at Gamescom. It was less than an announcement but more substantial than a routine “we’re thinking about it.” Here’s what happened. During a livestream from the Twitch booth at Gamescom in which FFXV producer Hajime Tabata was discussing upcoming projects like the Windows and mobile versions of the RPG, he slipped in an interesting aside about other plans. Obviously, it’s a total mystery what Tabata could be talking about here. The Golden Snitch? The Worst Witch? Maury Povich? Oh, no, wait, he said console. Can’t imagine which. “Everyone on the FFXV team loves this specific console that sounds a lot like Twitch, so you may want to think about something like that in the future,” he concluded. Jokes aside, that’s a pretty specific thing to say about one’s future plans. But that doesn’t necessarily mean that Final Fantasy XV as we know it is coming to Switch. 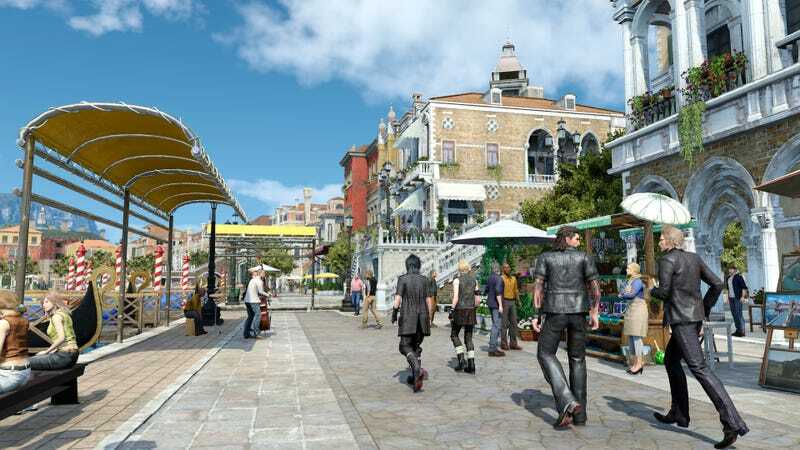 It’s clear that Square Enix sees FFXV as a franchise in and of itself (Tabata’s interpreter even said “franchise”), so the Final Fantasy XV content that comes to Switch could be a spinoff, or something akin to the mobile Pocket Edition, or maybe just a time attack mode that’s only Chapter 13. But today’s comments, strangely phrased as they may be, make it crystal clear that something is happening with FFXV and Switch. That’s for sure.